What's the used Audi A3 sports like? The Audi A3 Cabriolet has a traditional cloth roof, which helps to keep the car's weight down. The roof material is thicker than many rivals', so offers decent sound insulation. The roof takes jusat nine seconds to drop and 11 to go back up. As with the A3 hatchback on which it's based, the Cabriolet's dashboard and interior are well put together with high-quality materials. The driving position will suit most drivers. 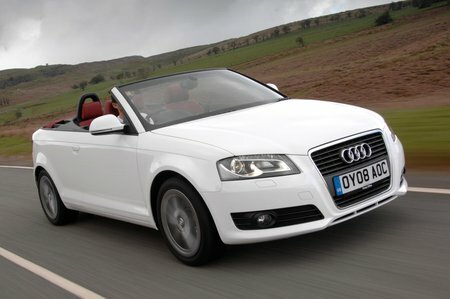 Unfortunately, the A3 Cabriolet isn't as good to drive as it is to look at. The steering is light and provides little feedback. There is plenty of grip, but the ride is a little too firm and never feels completely settled. Inside, there's room for four adults – just. The tight rear seats aren't ideal for longer trips. There's decent boot space and folding rear seats are standard.